On Friday the 15th March the Paediatric Allergy Network held its annual study day at Haydock Park. 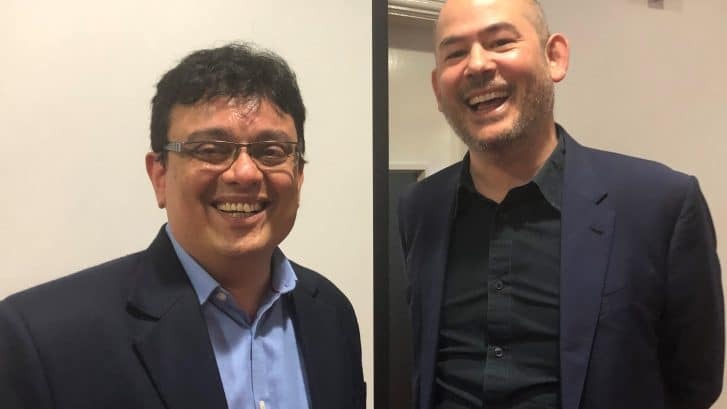 The event was organised by Dr Naveen Rao, Manchester Foundation Trust and Professor Colin Lumsden, Royal Preston Hospital / University of Manchester (pictured above). A full house of over 100 participants were updated with the latest information on infant weaning from Rachel Elsom, Public Health England, information technology and database design from Victoria Palin and Colin Lumsden from Manchester University, and transitional care by Marie Marshall and Jacqui Rogers from RMCH and AHCH respectively. The afternoon was spent in interactive workshops on food challenges, allergy testing and eczema, group dietetics and hot topics and case studies. For those that attended, don’t forget to fill out your evaluation forms to get your certificates of attendance.